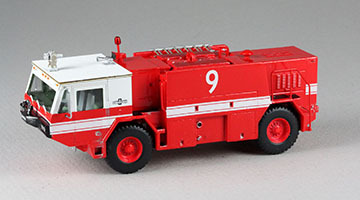 The Oshkosh P-19 Airport Rescue Fire Fighting (ARFF) truck is an air transportable (C-130 and larger) Crash Rescue vehicle generic to US Department of Defense bases with a flying mission. 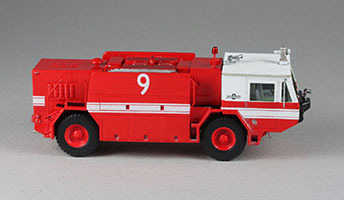 Designed and built in the early ‘80s and fleet-wide reconditioned in the late ‘90s, the self-contained P19 first responder is on/off-road capable with a top speed of 65 MPH carrying a crew of four in the enclosed cab. USAFline, a new cottage industry kit and decal producer in the United Kingdom, recently released a multimedia kit of the Oshkosh P-19 crash-rescue fire truck in the one true scale. 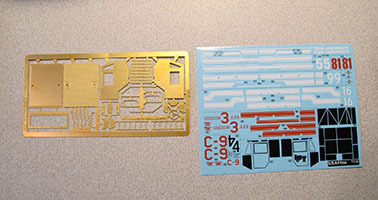 The resin, brass PE and white metal components are nicely packed in a sturdy 3” x 5” x 6” top-opening cardboard box. 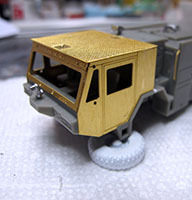 In addition to the nicely cast resin bits for the body of the truck, a full fret of brass PE holds the panels for the crew cab and roof, railings, steps and detail bits. 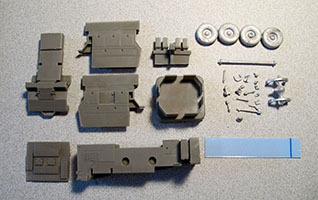 White metal running gear, wheels and more detail parts are included in a sealed bag. 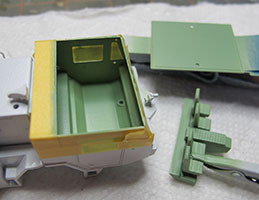 A small strip of clear plastic provides the basis for the cab windshield and windows. 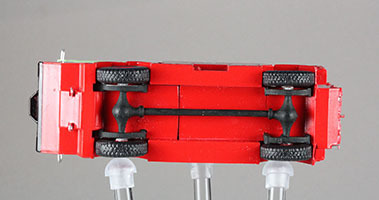 Assembly was straight forward, following the instruction guide and photos. 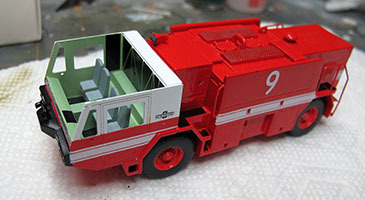 Once the resin pour blocks were removed, construction proceeded with the body of the truck followed by the PE crew cab. The resin and PE fit is excellent. 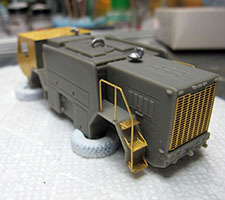 The white metal wheels, running gear and detail bits needed a bit of clean-up with a small file and sanding stick. 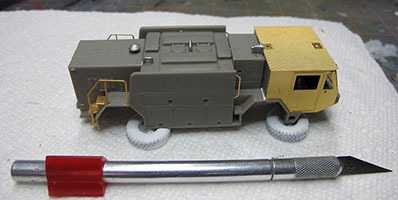 After assembly of the cab and truck body, the entire unit was scrubbed with soapy water to prepare it for a coat of white primer. 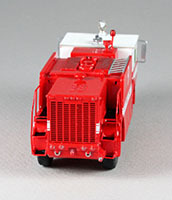 Primer was followed by an overall coat of Tamiya rattle can TS-26 “Pure White.” Once dry, the white portion of the crew cab was masked and the remainder of the truck received a coat of Tamiya rattle can TS-49 “Bright Red.” Kit provided decals are beautifully printed, in register and commendably thin with good color coverage. Details were finished according to the instructions. 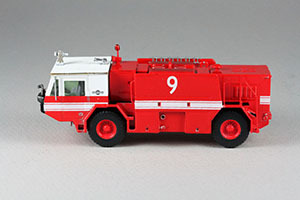 I enjoyed building and finishing the P-19 model and adding it to my collection of 1/72 flight line and ground equipment. 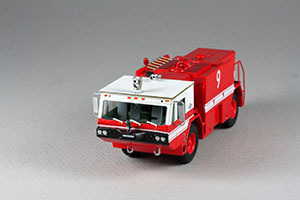 The kit design is well engineered for a good fit and takes advantage of the mixed media available to capture the look and feel of this powerful crash rescue vehicle. My sincere thanks to USAFline for the review kit. Highly recommended!